PROVEN RESULTS is a real estate blog dedicated to clearing away the smoke and providing an accurate and thought-provoking look at Colorado's residential real estate market. 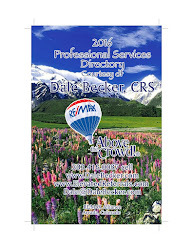 Dale Becker is a licensed real estate broker in Colorado. 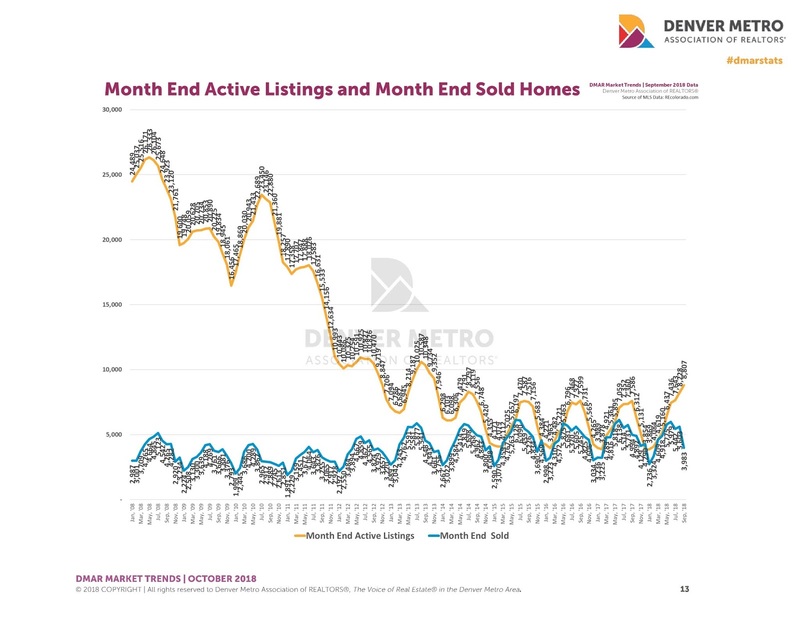 As April arrives and we hit peak selling season, the overall state of the Denver housing market is still relatively healthy. Our local economy is strong and robust and our demography remains positive... but after several years of booming prices, it's my contention that values are flattening and the market is reaching a point where many first-time buyers are simply priced out. This has ramifications, because demand "from the bottom up" has been the driver that has created the equity boom that has created the wealth effect which has made Denver one of the most economically vibrant cities in all of America. For as long as I have been in real estate (which is now going on 25 years), I have described market demand as a pyramid, which simply means there are always more buyers and more demand at the bottom of the market... and because of this, there is almost always built-in price protection for entry-level buyers because demand exceeds supply. That premise - that demand is always most strong at the entry level - is now being tested. I measure demand in terms of "absorption rate", which is defined as how many months it would take, at the current pace of sales, to sell every home on the market, assuming there was no new inventory coming online. The real estate industry has long posited the axiom that six months of inventory reflects a balanced market, favoring neither buyers nor sellers. I personally feel that the real number for equilibrium is more like four months, because the way real estate is transacted in the digital era is very different than they way homes sold 15 years ago. It used to be that open houses, sign calls, newspaper ads and postcard mailers were how people found out about homes. Selling a home was like marinating a steak - it took time and results often came slowly. In the digital age, everything happens quickly. 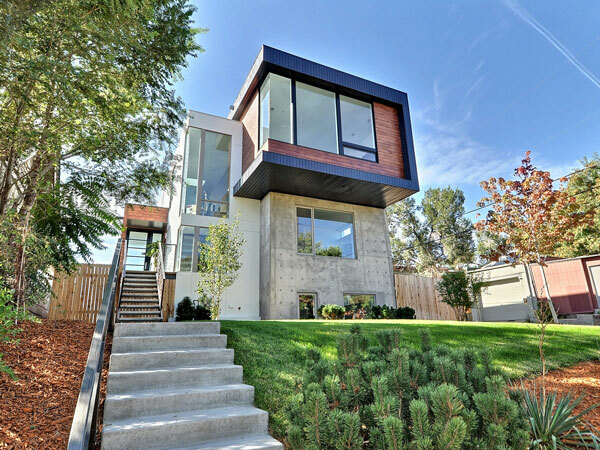 A new listing hits the market, and within minutes smart phones are pinging all over Denver. Listing activity is front-loaded to the first few weekends a home is on the market, and if you can't sell a home within a few weeks, you have a problem. The thought that six months of inventory reflects a balanced market is totally dated convention, but then much of the legacy thinking in our industry is aged and flawed. But back to the original premise... from the time I began selling real estate in Denver in 2006 until the end of 2016, we without fail had the quickest absorption rates in the sub-$250k price category. Predictably, as you worked your way up the pricing ladder... the $250k - $400k range was the next tightest market segment... followed by the $400k - $600k range... followed by the $600k - $1M range... followed by homes priced at a million dollars and up, which often sit on the market (even in good times) for many months before selling. More buyers at the bottom, fewer buyers at the top, the demand pyramid made perfect sense. Starting in November of 2016, however, we saw a change. At this point, homes in the $250k - $400k range actually began selling faster than the sub-$250k range, and the reason for this is that while the move-up buyers were flush with equity, the incoming crop of entry-level buyers was finding it harder and harder to both qualify and come up with down payment money. While demand for homes at all price levels has remained strong during our housing boom, the stress on first-time buyers hit another last milestone last February (2018), when for the first time in all the years I have been tracking numbers demand was actually stronger in the $400k - $600k range that the sub-$250k entry level. Increasingly, it has become apparent that the housing party in Denver is mostly reserved now for those who already have significant equity, which is the kind of elitist market dynamic I left when I departed California at the end of 2005. Put another way, if you've owned a home since 2011, you're flush with equity and living a much more secure financial life than the younger people coming into our market today. And for that generation of owners who won the housing lottery simply by taking action at the right time... they have significantly more options and opportunities than those recent college graduates coming out of school with $100k in student loans looking at median home prices pushing $500k. That's one of the reasons Colorado Springs (historically much more affordable than Denver) is now ranked as the #1 housing market in American for 2019 by Trulia, and why Denver no longer appears on that Top 20 list. So while the established owners are able to use their equity toward down payments on larger move up homes, emboldened by their own balance sheets and the feel-good headlines we've grown accustomed to... the first-time buyers in our market have been falling further and further behind, or giving up on the dream of home ownership altogether. The issue here, as I see it, is that push in our market has always come from the bottom up. And now that housing is out of reach for many would-be first timers, you simply don't have the farm system in place to keep driving prices higher as you work your way up the pricing scale. The word I have used to describe our market, repeatedly, over the past nine months or so is "fragile". When interest rates suddenly spiked into the 5's last fall, it hit our market hard and fast. The types of homes that had sold in the spring in one weekend with multiple offers suddenly began sitting 15, 30, 45 days before any offer would materialize. And without the frenzied bidding wars that characterized the spring market... sellers started seeing offers that were less than full price. And then buyers (the nerve!) started asking for repairs. 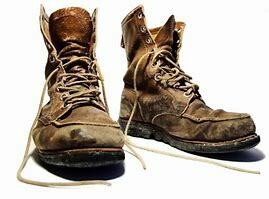 And you started running into more valuation issues with appraisers. And by the end of the year, there was grounds for reasonable doubt about whether you would see any appreciation in 2019 at all. The good news, at least from our standpoint, is that all of our political dysfunction and drama in Washington has caused interest rates to drop back down in to the low to mid 4's - for now - which significantly helps affordability and breathes life back into our market. But active inventory is still up 36% from a year ago. More homes which go under contract are coming back on the market than I have seen in many years. Buyers' remorse is a real thing, and the "get a home at all costs" mentality that drove the market from 2012 - 2017 is transitioning into a mindset that is much more cautious and deliberative in nature. If you pay attention to other markets which have boomed in recent years (Seattle, San Francisco, San Diego, Austin, etc)... you see a steady thread of headlines. Inventory is up and prices are flattening, not because people don't desire houses in high-cost markets. They simply can't afford them any more. And that means you should be adjusting your thinking accordingly. I have become much more conservative with my buyer clients in 2019, to the chagrin of my managing broker and to the detriment of my bottom line. I'm not interested in people bootstrapping their way to minimum down payments with monthly mortgages $300 to $600 higher than rents. Why does that make sense, especially if prices are flattening? If your reputation is the currency of your business, you always think in the long term, even when it costs you money. My commitment has always been to the "happily ever after", and not the quick buck so many others are chasing. Owning a home is an expensive proposition. Roofs age, furnaces quit, sewer lines break and exteriors need painting. For most people, it's still worth it. But if you don't have reserves... if you are fully dependent on two incomes... if you're not prepared for the unpleasant financial surprises that sometimes come with home ownership... you need to be thinking long and hard in a grown-up way about whether or not it really makes sense to commit to this market right now. If you have cash, equity, plenty of reserves and a good, stable job... by all means, buying is almost always logical and a financially-sound decision. But I spend a lot of my time these days having lengthy conversations with young people who seem intent on bootstrapping it, and for those who are not receiving solid advice, I worry that an uncomfortable percentage of today's bootstrappers may be tomorrow's short sales. I've been giving a lot of thought lately to the future of home ownership. That sounds like a weighty philosophical statement, and it is, but when your business is based on transparency, honesty and thoughtful analysis of the numbers... you can't avoid looking at how societal and political trends will impact housing in the coming years. As you know if you've been following my narratives, either in this space or on Facebook or via the recent comprehensive 10 - 15 page market update reports I mailed out to past clients in September and again in January, our market is changing. Here in Denver, we're on the tail end of multiple offer bidding wars, inventory shortages and what has essentially been one of the all-time great market runs for the Rocky Mountain region. The main reason our market is starting is to flatten out is that young people are simply tapped out. 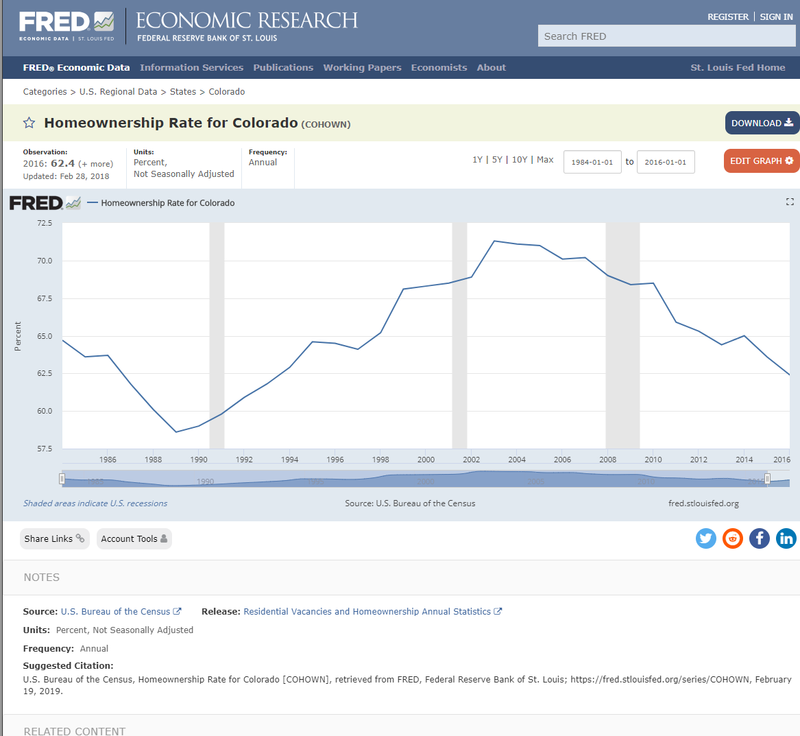 Years of rising prices, coupled more recently with rising interest rates, have made home ownership unattainable for a growing number of younger Coloradans. 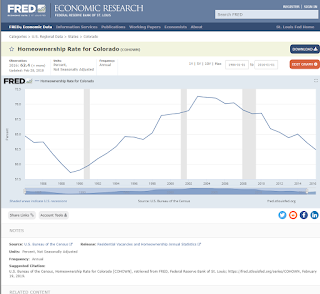 It's reflected in the home ownership rate, which has dropped from an all-time high of 71% in Denver 12 years ago to 62% today, and I believe it's headed for the mid 50's over the next few years as the American Dream of buying a home simply becomes a dream, period. It's too difficult for young people to get started now, with record amounts of college debt, a scarcity of good paying jobs and technology and globalization increasingly putting Millennials in direct competition with educated young people in India, China and a host of other countries where $5 an hour is a pretty attractive wage. For decades in this country, tax policy and governance has been skewed in favor of the rich and the old. And more recently, the Fed's interest rates policies allowed corporations access to unlimited capital at negligible rates, leveraging their returns and creating even more wealth at the top of the pyramid. Change happens slowly, but change is gathering momentum. And it's going to affect housing. For example, what happens if (when) the home ownership numbers dip below 50%, and we effectively become a nation of renters. At what point do things like the mortgage interest deduction and tax-free capital gains for sellers of primary residences go away? Don't say that housing in this country isn't subsidized by tax policy, because it is. For all the stupid and ineffective things NAR does with its ridiculous piles of dues-generated cash, the one thing they have done effectively is lobby. Yes, NAR has 1.2 million members writing annual checks to fund a war chest that directed over $72 million to lobbyists and politicians in 2018. And that fat cat system has been the first line of defense in holding the status quo. But if the trendlines in our political culture mean anything these days, it's that the status quo is in the crosshairs. We have a housing affordability problem in this country, in part because a whole bunch of older people are sitting on trillions of dollars of equity that was created in large part through government subsidized housing perks and a very accommodating interest rate environment manufactured by the Federal Reserve that created an unbelievable post-Great Recession value surge. It was great for incumbents, because it's the economy, stupid. It was great for the Treasury, because soaring values for stocks and real estate mean higher tax revenues. It was great for banks, because when the Fed gives you access to funds at 0% and you loan those dollars out at 4%, hey, that's a sweet deal. And it was great for those who owned real estate because your home(s) just made your balance sheet look a whole lot happier. For Millennials, what did they get? $20 trillion in debt, record student loan liabilities, rising rents, and a job market that is marked by diminishing opportunity and increased pressures caused by the twin hammers of technology and globalization. It's not far-fetched at all that a younger, more mobilized political class would extract its revenge by taking aim at the home mortgage interest deduction. And if a majority of the population ends up as renters, then it's a lot easier to start passing mill levy increases on those privileged snobs who own stuff to pay for public schools, roads and infrastructure. And maybe appliance tax credits, or transportation tax credits, or utility bill tax credits... or whatever other credits, gifts or incentives politicians can dream up to funnel toward the growing bloc of voters known as renter nation. If we become a nation of renters, then that bloc of voters who don't own homes might not have any problem raising taxes on and taking benefits away from that bloc of voters who do. While we have vulnerabilities here, it's far worse in my old home state of California, where Proposition 13 has been the untouchable third rail of politics since 1978. This voter-passed initiative was intended to keep older Californians from being priced/taxed out of their homes by limiting annual property tax increases to 1%... which means a home that sold in 1980 for $50,000 may be worth $800,000 today, but if the owner has been there for 39 years he is taxed as if its actual value is less than $100,000. Guess who makes up for that funding shortfall? The younger guy who pays $800,000 for the home next door, who is taxed at eight times the rate of his elderly neighbor, that's who. If there's an affordability crisis and you want to blow up the system in a hurry, repeal Proposition 13, and overnight you'll have every senior citizen on a fixed income in the state putting their home up for sale and moving to (insert the name of any more affordable place here). That's the California example. We have a senior property tax exemption here in Colorado, and although it's not nearly as punitive as the system in California, some revenue-hungry politicians might be inclined to look at it. My point is, over the next decade we are going to live through a politicized generational revolution both here in Colorado and in the United States in general, in my opinion. As young voters mobilize and politicians pander to them, it will change the game. The fastest way to level the playing field between rich and poor, old and young, owners and renters... is to start taking the perks of ownership away from the have's and transferring them to the have not's. Based on this framework of ideas, you would be naive not to at least consider the possibility that home ownership may soon become a politicized target, instead of a generational aspiration. We've got a broken system here. Well, it's broken if you're young and not endowed with a trust fund or a pipeline to the Bank of Mom and Dad. The National Association of Realtors, the Colorado Association of Realtors and the real estate industry in general needs to stop doubling down on the status quo and needs to start having some real conversations about how housing policy can be done better. Young people need affordable options. And old people may have to forfeit some perks for it to happen. If we don't lead on this issue, politicians will. We can lead, or we can be led. But either way, don't expect the the world of tomorrow to look like the world of today. The spring market is back. 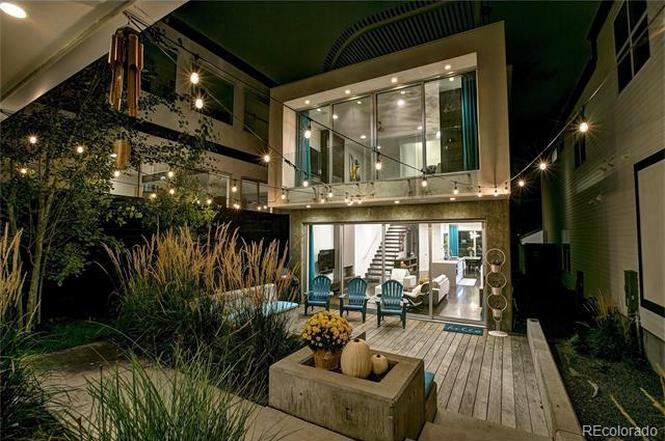 Over the weekend, I listed two homes that drew a combined 58 showings and 13 offers. I was, honestly, stunned to see how quickly this market came roaring back to life after things went silent during the 4th quarter of 2018. Both contracts ended up beyond list price with other significant concessions. Having just endured a weekend with 40-plus phone calls, frantic agents and desperate buyers (where were these people a month ago? ), I’m still processing my thoughts about what just happened. And I do have some deeper perspectives about the quality of the buyer pool, the future direction of our market and what went down over this crazy weekend… but I’m going to save them for another time. Right now, I want to talk about professionalism. On one of my listings, I had seven offers more than $10,000 over list price… all great offers, at least as far as the numbers are concerned. But when there is that much competition and that much frenzy, it comes down to details. Appraisal guarantees, lender phone calls, proof of funds, agent production history… all of that matters. Because what you’re trying to do, as a listing agent shepherding that many offers, is find the buyer, agent and lender who give you the highest and best odds of closing on time, with minimal brain damage, under the best possible terms. So yes, an agent with 10 years of experience and 200 deals is going to have a leg up on a newbie who is still trying to figure things out. After thoroughly evaluating our contracts and letting my sellers make their decision, I sent out an email to all of the other agents who had submitted offers. I let them know how many showings we had, how many offers we received, and what a difficult decision it was. I let them know (in this case) there were at least five offers that could have been chosen, but in the end, it came down to details. Shortly after hitting the “send” button, my phone rang. It was the agent who had submitted what probably was the second-best offer, well over list price with a free rentback and a small appraisal guarantee… but no proof of funds and no lender phone call to back it up. We easily could have chosen this buyer, and I bet we could have made it to closing and everything would have been just fine. But in the end, as I said, the goal is to take the most complete, airtight offer on the table. That wasn’t his, although it was close. The point is, instead of saying congratulations and taking the high road, this so-called agent chose to berate me. I could hear him huffing and puffing through the phone about how we never game them a second chance or called to ask for what was missing. As I said to him, calmly, you get one shot to make a first impression. Your offer was 90% buttoned down. You got beat by someone whose offer was 95% buttoned down. The good news is, his outburst on the phone confirmed for me that we had made the right decision. In this type of market, who you work with matters, more than you can possibly imagine. Reputation is the most important asset any agent owns, and I’m proud of where I stand and of how many agents want to work with me based on my track record of proven results. Buyers often don’t understand this, and then wonder why when they chose to work with discount brokers and freshly licensed second cousins their offers end up in the trash. Reputation is the secret sauce of real estate. And when you hire an agent, you are employing their reputation as much as their skillset and availability. 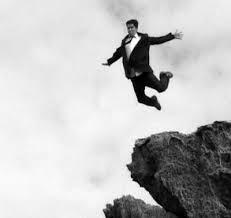 The screaming agent who called and chewed me out this morning blew any chance of being in second position if our first buyer bails out. He took something that had a 20% chance of happening (moving into first position if our top contract falls) and effectively moved it to zero. I understand that emotions are raw and it’s hard to work with buyers in a hot market. Don’t you know I’ve been there myself, more times than I can count? It’s maddening. But the game is not over when the first contract is selected. In fact, the game is not over until the deal closes and the process is complete. Professionalism and basic intelligence dictate that you keep the door open, take the high road, say the right things and operate from a position of gratitude, even when you lose. But of course, I’ve been doing this for 25 years.. and maybe back in year two or year three or year four I was more like this guy, angry and embittered and huffing and puffing. So I’m willing to extend some grace. If you aren’t Captain Angry and you’re just a hard-working agent who happens to be reading this, I’m hoping you can see the wisdom in understanding how your own behavior plays a role in your ultimate success or failure. The best advice I can give you is, take the high road, every time. Because I can’t tell you how many times I’ve been in a similar situation, when three days later, my phone rings and it’s the listing agent. “The buyer got a little wobbly and the earnest money never showed up,” says the agent whom I treated with humility and respect after initially losing out in multiple offers. 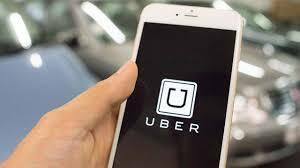 I have had the occasion of using Uber three times in the past week, mostly because of some work that was being done on my car. Those experiences were awful, bad and then… very good. The first time, I was picked up in a 20-year old Honda Accord with torn cloth seats, filthy windows and French fries on the backseat floor. The next time, I was picked up by a 70-year old man driving a minivan, a sullen retiree who was clearly unhappy with his retirement situation and driving strangers around to make ends meet. And then this morning, I was picked up by Valerie, a 4.9 rated driver from Boulder in a sparkling clean Toyota Prius who offered me bottled water, fresh fruit and a welcoming smile. I was trained as a journalist in college, and I’m in sales… so it’s natural for me to want to ask questions. And so, on our 25-minute ride together, I engaged Valerie in conversation. She and her husband are both Uber drivers, as it turns out, and they actually have implemented a business model that works well for them. They purchased a Prius about three years ago and this is their primary “work” vehicle. Valerie drives most days from 6 a.m. to 12 noon, she and her husband have lunch together, and then he drives from 1 p.m. to 7 p.m., or whenever demand tails off. Their small car gets about 50 miles to the gallon, maintenance costs are minimal, and while they are not getting rich as Uber drivers, they have created an efficient, low stress life where work is contained in a manageable box and there’s plenty of room on the side for life. Compare that to the lives most of us lead. Technology has created a 24/7 economy, where those of us in management or sales are expected to be available seven days a week and a call that’s not returned within four minutes is an invitation to go elsewhere. There’s more money to be made by working seven days a week, for sure, but at what cost? Our conversation took an interesting twist when I put my management cap on. Having had two marginal (at best) experiences and then a great one with Uber in the span of seven days, I asked what Uber could do to make their “top 10%” feel more appreciated. Surely, it would be in the company’s interest to retain and reward their top drivers, the ones who strengthen their brand by delivering quality service in clean cars. As it stands now, there’s no much Uber does to honor its best ambassadors. So as we drove along Highway 93, we brainstormed options about how we could make being a great driver a great incentive. We also agreed that a significant percentage of riders (like me) would be happy to have an “Uber Plus” option on our phone, because I would gladly pay a premium for a clean car, cold water and a top-rated driver. I’m sure you can come up with other ideas as well, but the name of the game is to make sure the best drivers have the most reason to stay, because good drivers make Uber look good, and bad drivers drag the brand down. It’s the same in real estate. There are premium brands (good drivers), and there are knockoffs (bad drivers). RE/MAX has always been the “gold standard” in real estate because its business model is focused on attracting and retaining top agents, experienced producers who have succeeded in all markets. There are other brands with models based on recruiting new agents (instead of selling homes), stock options for each home you sell, or zero-dollar desk fees in exchange for sharing a larger percentage of your commission (if you ever earn one) with the brokerage. These models don’t ask for commitment or results. They aim to distract rather than discern. RE/MAX is about working and selling. RE/MAX agents sell real estate. They pay a reasonable monthly desk fee and keep all of their commissions. The more homes you sell, the better it gets. No sideshows, no gimmicks. And if you don’t sell homes, the monthly desk fee will quickly take you out of the system. There are a whole bunch of naked agents out there, most of whom jumped into a frenzied market and were carried by a high tide. We’ll now see who’s who when it comes down to having real skills. Delivering more value than you are paid for is the secret to longevity and success in any business. Valerie is going to continue to crush it as an Uber driver because she has figured it out. That is, unless another driving service that creates a model which better recognizes excellence doesn’t come along and steal her away (“Nordstrom Rides”, anyone?). In a good economy, everything works. But when a market transitions, the cream rises to the top. Creating models around brand excellence and service that exceeds expectations will always have a following. I do believe people will pay for quality, and I do believe that excellence is a white space in an increasingly-commoditized world. You may not be able to control technology. And you may not be able to control the market. But what you can control is effort, attitude and preparation. Being the best version of yourself, whether as an Uber driver or a real estate broker, is the surest path to remaining relevant in a world where those on the margins are increasingly endangered. There's a palpable chill that has fallen over the Denver market in recent weeks, and nowhere is it more apparent than in the surging number of active listings. There are currently 8,882 active listings for sale in the Denver MLS, the highest number of listings for sale in October since 2013. That total represents an increase of 17.80% from one year ago and an increase of 95% from January, when there were just 4,554 homes on the market. Rising interest rates are the clear culprit. Since last fall, interest rates have spiked from the high 3's to the low 5's, sending shockwaves through the market and pricing many buyers out entirely, especially at the entry level. The surge in rates is likely a result of the tax bill passed last December, which created record corporate profits and drove expectations for the economy higher. With the DJIA north of 25,000 and US unemployment at a generational low of 3.7%, making 30-year financing commitments in the 3's no longer makes sense in the financial markets... hence, a new era of significantly higher rates. Hardest hit by the increase in mortgage rates are high cost markets. On a $400,000 loan, the 1.5% jump in rates over the past 12 months increases the initial monthly payment on a fixed-rate loan by more than $350. That's significant, and it's taken the starch out of our market. It's clear that higher cost markets are feeling the greatest impact. In California, which has a median price nearing $600,000, active listing inventory in September was up 20.4% from one year earlier after starting the year down 12%, a trendline very similar to what we have seen here in Denver. The fact of the matter is that higher interest rates are deflating the market, and what has been manifesting as higher prices in the past is now being absorbed by significantly higher mortgage payments while more and more buyers are simply tapping out. The only path back to growth like we've seen in the past is rates that look like what we've had in the past, and the odds of that kind of sudden rate reversal are remote. In the span of a few short months, buyers have pulled back and the market has lost its punch. Buyers who have spent the last several years frantically chasing after something, anything in order to get on the right side of an appreciating market have suddenly become a whole lot choosier, demanding good condition, reasonable pricing and value supported by relevant comps in exchange for having to make monthly payments that are now hundreds of dollars higher. For sellers, we're at a crossroads. Get in line with current realities, or cover your eyes and pretend it's still the low-rate market of six months ago. Sellers who choose to live in the past will quickly find, however, that the market they are dreaming of no longer exists. While I've come to embrace Colorado weather as a mysterious and glorious blend of beauty, elements and seasons (which often manifest in the same day)... there are two months that take the prize above all others when it comes to randomness and sudden change: April and October. Ironically, these happen to be the months where homeowners need to start their sprinklers for the spring/summer and shut them down for the fall/winter. Last year, we had an extremely mild fall and many homeowners waited until early November to drain and winterize their systems. This year, the weather has turned cold suddenly and on Saturday night, the temperature is expected to dip into the mid-teens, which will cause untold damage to thousands of unprotected irrigation systems all over the metro area. Because I've seen this cycle play out again and again during my 12-plus years in Colorado, I adopted a mantra several years ago that has become a way of life: I will be the last person on my block to turn my sprinklers on in April and the first person on my block to shut them down in October. 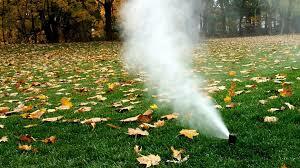 As a real estate broker, I've spent a literal fortune on trying to spare my clients the headaches of freeze damage. In fact, for eight years I hired a service every April and every October that would facilitate start-ups and shut downs for all of my past clients, at my expense - which eventually grew to be $4,000 - $6,000 per year. But as the number of clients grew and the list of homeowners with yards continued to expand, it simply became unmanageable over time and so I shifted into taking care of first-year clients only, helping them start their system up in the spring and then shut it down in the fall. With so many transplants in Denver from other areas of the country, there are a huge number of new homeowners who have no idea how much damage a hard freeze can do. And one of the occupational hazards of selling homes during the cold winter months is that it is very hard to determine what kind of shape a sprinkler system is in until it is de-winterized and fired up in the spring. Truth is, almost every year I deal with homes sold in the winter which need extensive sprinkler repairs during the spring. And because it's not my clients' fault that the previous occupants were oblivious to the climate and/or their own home ownership responsibilities, I usually try to find a way to mitigate their cost in getting systems repaired or rebuilt. The net effect of all these sprinkler repairs (other than the obvious financial hit) is that I tend to be hyper-obsessed with the vagaries of spring and fall weather, and every year my clients know they are likely to receive a panicked ALL CAPS bulletin from me the first time fall temperatures unexpectedly drop to dangerous lows. Because of the exceptionally strong seller's market we have experienced over the past several years, getting sprinkler repairs (or any other repairs) made by the seller prior to closing has been a difficult challenge for buyers. Now, as the market softens and buyers have more choices, expect repair negotiations to become a lot more contentious for sellers as buyers demand value commensurate with the record high prices they are being asked to pay. And that includes fixing those jacked up sprinklers that were installed after watching four minutes of video on YouTube and downing a six pack with your buddies. This year, I proactively had sprinkler systems at all four homes I currently have under contract blown out and winterized at the start of October. I did so at my expense and with my own vendor, because I'm tired of paying for repairs caused by overconfident do-it-yourselfers and Craig's List cowboys. On winterization day, temperatures were in the mid-80s and skies were blue. Neighbors looked on in puzzlement as water vapor spewed up from the sprinkler heads and the air compressor thumped away. We drained supply lines in the basement and declared ourselves ready for whatever may come, even while dressed in short sleeves and wiping beads of sweat from our brow. That was eight days ago. Today it is 35 and snowing. Sunday's Broncos game will be played before a national audience with temperatures in the 20s. Before Halloween arrives, I have no doubt we'll have at least a few days where the temperature pushes 80 degrees. Coupled with more nights in the teens. The lesson in all of this is to realize that the $50 it costs to winterize your sprinklers now is a lot cheaper than the $1,800 you'll pay to have your yard dug up next spring. Next year, don't wait. Calendar it now. When the first hard freeze shows up out of nowhere and the neighbors are all scrambling to get last-minute help, those who were proactive will feel a calm and knowing sense of contentment because in Colorado, Mother Nature always has the last laugh. There's a change that's been taking place in our market over the past few months, and it has a feel as palpable as the crisp morning air or the turning of the fall leaves. Buyers have checked out, and many sellers (and agents) are chasing a market that no longer exists. The current inventory of homes for sale in the Denver metro area - about 8,200 - is up more than 60% since April. And pendings - the number of homes under contract - has fallen by 2% during the same period of time. That's a real change, much more pronounced than in past years. Viewed another way, the inventory of homes always picks up through the summer months and peaks around Labor Day. New inventory becomes much more scarce after Labor Day and the inventory generally declines through the end of the year before bottoming in December. But contracts should also increase during the summer months, simply because we've had such strong spring markets the past few years and more listings should result in more sales. The spread between the growth in actives and pendings was 18% in 2016, 35% in 2017, but is at 66% this summer. Now before you reach for the panic button, some context. Since April, the overall absorption rate has increased from 0.94 months of inventory to 1.63 months of inventory. Which simply means at the current pace of sales (still strong), if we did not get any new inventory coming online all existing homes would be absorbed by the market in about seven weeks. Five months of inventory is considered a flat, non-appreciating market. And the last time we had more than five months of inventory was July 2011. A year ago at this time, the absorption rate was 1.41 months, and last September it jumped up to 1.62 months (very similar to now) before dipping back down as new listings dropped off at the end of the year. The difference this year is that we've had a lot more inventory coming online, without a corresponding increase in buyers. What this tells me is that a whole lot of people (mostly investors) who bought homes between 2010 and 2015 have decided to start cashing out... and that's a trend worth watching. At street level, the market is different right now. Homes are no longer automatically selling in a weekend with multiple offers, and the number of people visiting open houses has dropped appreciably. It's my theory that we've simply reached a pain-point, especially for first-time and entry level buyers, who are taking the double hit of record high prices and interest rates pushing 5%. The same home that was $400,000 and sold with a 3.5% interest rate three years ago ($2,280 PITI payment with 5% down) would likely be $475,000 with a 5% interest rate today (nearly $3,100 PITI payment with 5% down). That, ladies and gentlemen, is a payment 36% higher than just three years ago for the exact same home. Buyers feel this, whether they've done the exact math or not, and they are starting to pull back. Unfortunately, most sellers I talk to are still holding onto headlines from April and May, when the market was radically different. And with the number of real estate licensees having doubled in seven years, the situation isn't helped by the number of newbie agents running around with no idea how to navigate anything but a frenzied, multiple-offer driven market. Misinformation and, frankly, disinformation is prevalent. Way too many agents are chasing sales instead of investing in relationships, and that's a short-sighted strategy that leads to extinction. If you're buying, you need to be extra attuned to seeking value right now. The market dynamics are still healthy, but you no longer have to chop off body parts or sell your firstborn to get a home under contract. If you're selling, you now need to decide if your goal is to sell your home or stare at a for sale sign blowing back and forth in the wind for the next three months. The market is changing. And to succeed, you must change as well. There's no shortage of things to complain about in the Denver real estate market these days, but one of the most frustrating aspects of working with buyers is all of the obstacles they face in simply trying to get an offer written and presented fairly in front of a seller. From the "Coming Soon" scams to the open house games to the agents who fail to set deadlines to the agents to set deadlines but don't enforce them... it's easy for a buyer to lose faith in the process. Here are four things that making buying a home - and representing a buyer - highly frustrating in the Denver market. COMING SOON - This is probably my least favorite thing in the market today. 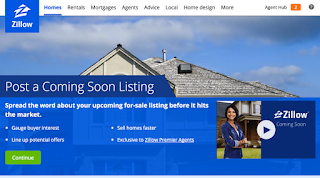 Because listings are assets and everybody who has been in the business more than five minutes is trying to form a team and funnel buyer leads to those newbie agents, "Coming Soon" riders have become as common as dandelions growing unchecked in the summer sun. The basic premise of "Coming Soon" riders is that listing agents want to leverage the excitement of a new listing hitting the market to field buyer phone calls. At a bare minimum, one objective is to find new buyer clients, usually so they can be handed off to the brand new, inexperienced agents working on behalf of the team leader. It's awesome for the team leader, who often will take 50% of the commission from the new agent if that agent somehow eventually swerves into getting a home under contract. But the other objective is often to try and "double end" the deal. In real estate, it's customary for a commission to be paid to the agent representing the seller, with another commission being paid to the agent who brings the buyer. But what if one agent manages to connect the buyer and seller together in the same transaction? So here's the question... why, in the hottest real estate market in Denver history, would a seller settle for accepting an offer after just three or four buyers have seen the home? Is it not obvious that you would almost always be leaving thousands of dollars on the table by not exposing the home to the 21,000 agents and tens of thousands of buyers accessible through the MLS? Unless you're an 84-year old widow, and you don't understand the market or the process. Or unless you're an out-of-state investor who has no way of monitoring what kind of exposure your longtime rental home is actually receiving from the sketchy agent you found on the Internet. Or maybe your industrious agent told you they would lower the commission by one percent if they found the buyer. One last thing... until a property is actually listed in the MLS, there are essentially no rules governing commission, disputes or brokerage relationships (and this includes all of the "Coming Soon" listings now posted on Zillow). Putting the property in the MLS subjects that home to the rules of the MLS, rules which are designed to promote transparency, due process and fairness to all parties. 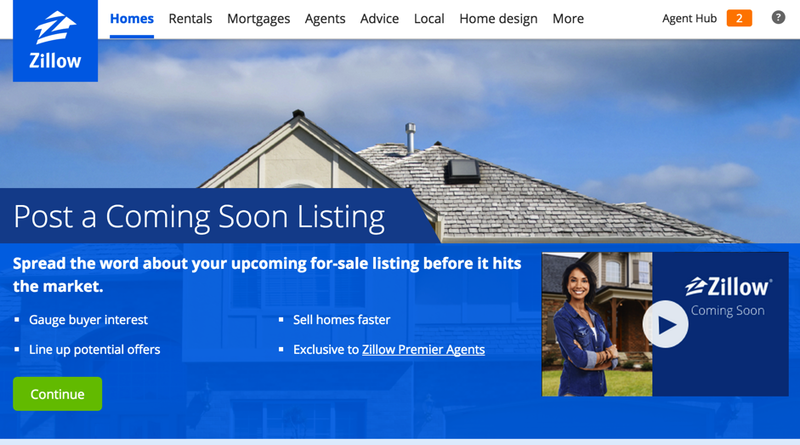 The vast majority of the time, "Coming Soon" riders are designed to promote the listing agent and the interests of his or her team... not the seller. And that's partly why so many people have a negative view of those in the real estate brokerage community today. OPEN HOUSES - Let me be clear - open houses are a viable marketing strategy (for both the listing agent and the seller) and there is a place for them. 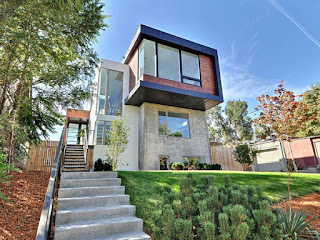 If there is transparency and the seller's best interests are placed first. But here's what they very often have become. Marketing events designed to produce buyer leads for the listing agent's team (at best) and biased, unfair exposure events (at worst) which often result in listing agents and teams focused on double-ending the deal instead of securing the best price and terms for the seller. As I have mentioned in previous posts, the number of agents in the Denver metro area has mushroomed from barely 10,000 after the Great Recession to more than 21,000 today (thank you HGTV). Everywhere you look, bartenders, valets, shoe salesmen and line cooks are walking away from gainful employment to take out a real estate license in pursuit of all the "easy money" to be made in real estate. If the purpose of holding an open house is to gain additional exposure for the seller. leverage interest into better offers and terms that benefit the seller, while still adhering to the ethical and professional requirements of board membership and the MLS, then great, let's do them. But if the goal on Saturday morning is to find a buyer (who may or may not be the best qualified), share the details of other offers with that buyer to improve their standing, and then persuade the seller to take that offer... you shouldn't have a license. Again, this is not the case with every open house, and open houses are far more legitimate than "Coming Soon" riders, in my opinion. But there's still a significant segment of the agent population that functions and behaves as if their primary job is to maximize their own earnings, not promote the seller's interests. And when you see it weekend after weekend, instance after instance, it's easy to become pretty jaded about what's going on. DEADLINES / NO DEADLINES - Lastly, there's incredible frustration for agents and buyers alike right now caused by lousy or non-existent communication. Case in point... just this past weekend, I saw a new listing come up that was a near bullseye match for an investor client. The property hit the MLS on Wednesday night with no notes about when showings would begin or when offers would be considered. I immediately called to set a showing for Thursday and moved my schedule around to accommodate it. The next morning, I got a call from the showing service. "No showings on that one until Friday, sir." Okay, that's fine. We'll make it work. Except that Friday was completely booked for me and my client travels for work on Fridays. But alas, I see they are holding an open house on Saturday. So we'll go before the open house and take a look then. Which we did. And as we were finishing up our showing, the rookie agent recently hired as a member of the listing agent's team showed up to host the obligatory open house. "Have you set a deadline for offers on this? ", I asked. "Do you know if the sellers need a rentback?" "Do you have any offers? Anything else we should be aware of?" So I called the listing agent, who was obviously busy with other clients (or perhaps playing golf). I went into her voicemail. Two hours later, I received a call back. "We've got multiple offers and we're going to present them tonight," she said. Okay... so at this point we cancel dinner plans (as happens almost every weekend in our household), call our client, and tell him we have two hours to pull an offer together. He has dinner plans as well, and now the question is... does he throw his family in the trash along with me to try and pull an offer together, or does he choose to kiss this one off in order to ensure domestic tranquility? Long story short... domestic tranquility wins. "Why can't they give us a deadline in advance or some kind of guidance so this isn't a flipping rodeo?" he asks. "Showings begin at noon Thursday and will continue until noon on Monday. Offers due by 6 p.m. Monday with a response deadline of 12 noon Tuesday. Seller to review offers Monday night. Disclosures uploaded in MLS. Please call with any questions." Fair, concise, understandable and respectful of people's time. I called the agent and explained I had a cash buyer, very motivated, and that he had been waiting for a home in this particular neighborhood for over a year. He could accommodate a seller rentback, he wouldn't need an appraisal and he could close in 15 days. "Can you get us an offer by 6 p.m.? ", she asked. I told her my client had Saturday night plans that were going to be hard to change. He was debating whether to cancel to try and get his hat into the ring on this home. It added stress on top of stress in an already stressful situation. Thirty minutes later, my client called me. "All of this is just too rushed and out of control," he said. "Forget it, we'll wait for the next one." I texted the seller's agent to let her know we were dropping out. She didn't reply. You would think that is where the story ends. But no, in the Denver real estate market, there's always more to the story. Several hours later, I received another text from the listing agent. "We're going to keep taking offers until 2 p.m. tomorrow, " she wrote. "My sellers want a cash buyer or a larger appraisal guarantee, so let your buyer know he still has a chance." It was 9:18 p.m. on a Saturday night. I texted my client at 9:20. "Sellers are extending their deadline until 2 p.m. tomorrow. Still interested?" No response from my client. The next morning, I texted again. "Any interest in getting in one more time and having another look? We still have a window of opportunity to get this done." He called. I'll save the extended details, but in his mind, he was being played. He didn't think the seller actually had offers (he does), he felt they were trying to rush us into an over the moon offer Saturday night (they weren't, necessarily) and he now felt like they had overplayed their hand and were trying to pull us back into the bear trap. The issue was... my client was mistaking lousy, disorganized communication and general incompetence for blatant manipulation. "I really don't like the way this feels," he said, echoing a thought I've had every weekend for the past six years. "I don't know what to believe." And with that, we officially dropped our pursuit. If there was one piece of information I wish buyers could easily access, it would be an "honesty and integrity" rating for the listing agent. There are plenty of good agents out there, and when I show their listings, I do so with the extra confidence of knowing that the playing field is level, my time is being respected and my client will have a fair shot. I just closed a deal for a buyer who won out in a five-offer situation. The home was marketed with a firm beginning and end time for showings, a clear deadline for offers to be submitted and a clear time frame for seller acceptance. All disclosures were uploaded to the MLS, the agent took and returned phone calls promptly, and everyone was kept informed throughout the process. We had enough time to pull comps, discuss strategy, clear our plans with the lender and write our best offer. We wrote an above-list price offer, doubled earnest money, let a portion of it go hard upon acceptance, included an appraisal guarantee and wrote a thorough cover letter. We submitted it one hour before the deadline and called the agent to confirm receipt. Because my buyer was confident, qualified, educated and given time to process information, we could confidently put our best foot forward. In large part because of our own communication and how clean our offer was (despite the fact it was financed), the sellers chose to go with us. We sailed through inspections and the property appraised at value. We closed on time and everyone got what they wanted. It was - dare I say it - an enjoyable process. It was how real estate is supposed to work. Ultimately, the listing agent sets the tone for the transaction. And that tone can be one of professionalism, structure and a focus on treating everyone fairly... or it can be a greedy grabfest of trying to leverage everything for personal gain. In a market increasingly driven by greed and despair, many agents have ethically lost their way. And when this extended market run is finally over, they will be the first ones to discover that longevity and integrity go hand in hand. Five years ago at this time, I had four buyers under contract... at sales prices of $143k, $210k, $226k and $300k. Today, I have four buyers under contract... at prices of $462k, $610k, $738k and $835k. In fact, in all of 2013, I closed three deals above $500k. This year, by the end of May, I will have closed seven transactions above $500k. These numbers may reflect the state of our current market, but they also represent a changing of the guard in Denver. We've moved from an affordable mid-sized city that welcomed young, motivated workers from the middle third of the country to a playground for well-off Texans, a refuge for overtaxed Californians and a growing demographic powerhouse in the eyes of small, medium and large-sized employers who can't seem to get here fast enough. In fact, according to the latest US Census numbers, almost two-thirds of our total migration now can be sourced to Texas and California. And while President Trump may want to build a wall separating the US from Mexico, there is a rapidly-forming economic wall going up between Denver and its less affluent neighbors to the east. Denver is changing, and if you last lived here 10 years ago you would be stunned at how radically different the landscape is today. Architecturally, economically and politically. The rules of real estate have changed, too. It's not just a stronger market and a desire to sell higher-end homes that have changed the dynamics of my business. It was a conscious decision to position myself in front of where the market was headed. Five years ago, the Denver market was literally dripping with opportunity for first-time buyers. The last remnants of cancer caused by years of toxic lending was finally being purged out of the market, with home prices dragged down to levels well below replacement cost due to foreclosures and short sales. Interest rates were in the 3's, mortgage payments were cheaper than rent, and you could buy a home for $300k that would cost $375k to rebuild if it burned down the next day. Value was obvious, yet many buyers remained reluctant. So I focused on the most coachable, motivated and open-minded buyers I could find. First-time buyers. In fact, during this era I regularly hosted first-time buyer seminars on Thursday evenings at the local library. On Saturdays and Sundays, I held open houses on listings that weren't mine just to invite people to these workshops, hoping I could educate and coach them up into buying a first home. And with most sellers having little or no equity, there was no move-up market. So trying to sell a $400,000 home and buy a $600,000 replacement home on the other side was pretty much a waste of time, energy and marketing dollars (although that was about to change). As an agent, you fished the shallow end of the pond because that's where the fish were. And as a result, I closed a mind-numbing 41 deals in 2013, driven almost entirely by the obvious value found at the entry level. As the market evolved and began to rally strongly in 2014, the focus moved from first-time buyers to sellers who were starting to recover equity and had a real opportunity to move up. I changed my approach and started engaging in serious conversations with past clients about the value of selling (or keeping) their first home and buying something larger. The inventory of homes for sale continued to plummet, falling from more than 23,000 in 2011 to less than 7,000 by the middle of 2014. A huge shift was taking place, yet many were still missing it, or poisoned by skepticism born out of the Great Recession. The point is, as a successful agent you have to read the pulse of the market and then make adjustments. As Wayne Gretzy once famously said, "you skate to where the puck is going... not where it has been." By 2017, our market had arrived in a completely different space, dominated by big dollar transplants and established owners with huge amounts of equity. According to RE Colorado, from 58,000 closed sales in the Denver MLS last year, the average down payment was more than $66,000. Which means if you didn't have big money (or significant equity), you didn't have much of a chance. Skating to the puck now means you have to get in front of people with resources and equity, or you will find yourself chasing after a market that no longer exists. The playbook from 2013 is as useless today as that old VCR sitting in your basement. Skate to where the puck is going. I'm not saying this to be clever. And I'm not saying this with glee over how much money is in the market today. I'm saying this in the most serious tone possible. My first 11 years in the business, I lived and worked in Southern California, where homes prices nearly tripled while the agent population increased by 150% (sound familar, Denverites?). I watched countless new agents burst through the front door with optimism and bravado, only to see them slink out the back door a few months later, license in hand, defeated and broken. The only variable that ensures survival is work ethic, fueled by reputation and integrity. In the era of HGTV, too many people think real estate is a game. That selling houses is "fun". That "Fixer Upper" is real life. Way more people want to talk about Chip and Joanna Gaines than Ray Dalio or Warren Buffet. This is work, serious work. With more money involved than ever before. And more outsiders crashing into the market and disrupting traditional business models than ever before. Evolve. Work. Evolve. Work. Evolve. Do this and you will survive. In 2017, my business looked completely different from just a few years earlier. Last year, I closed 35 deals. The point is, if you are doing the same things today that you were doing five years ago, chances are you're either already out of business or inches away from that dreaded back door departure. And while I want to help first-time buyers (and I mean that with every fiber within me), all too often this market chews them up and spits them out. Along with their agents. Although empirical evidence counsels against it, I'm still occasionally taking on first-time buyers and playing the stop, drop and run game... chasing after new listings as soon as they hit the market and writing offers that are regularly flattened like a mouse in front of a Mack truck by high net worth out-of-staters, equity rich current owners or buyers being financed by The Bank of Mom and Dad. All you can do is Just Keep Swinging. But the much larger share of my business these days is tied to the financially stronger buyers who run this market. I watched this progression in Orange County two decades ago, and I am watching history repeat itself again today. We're a high cost market, fueled by jobs and demography, and you can wish all you want for the old days, but they're not coming back. 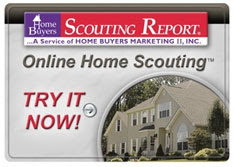 Every Listing from Every Company in One Place - Simply Click on the Icon to Begin! I have been a licensed real estate broker for 24 years and I am affiliated with RE/MAX Alliance in Denver, Colorado. I have been in the RE/MAX system for the past decade and I am a three-time recipient of the RE/MAX Platinum Award, as well as a member of the RE/MAX Hall of Fame. I carry the CRS designation (earned by fewer than 4% of agents) and I am a seven-time recipient of the "Five Star Real Estate Professional" certification by 5280 Magazine (2010-2016). 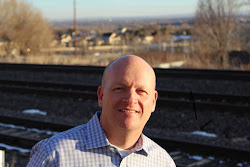 You can find over 100 verified past client reviews plus my entire Colorado sales history by checking out my online agent profile at www.ZillowReviews.com. Prior to selling on a full-time basis, I worked in a senior management capacity for one of the nation's largest real estate companies, with an emphasis on technology, new media and web development. I graduated from California State University, Sacramento, in 1992 with a double major in Journalism and Political Science, and prior to entering the real estate field I worked as a political reporter for the Sacramento Union newspaper.